Having attended the Victorian College of the Arts to study music, Anna has been leading worship in the church for a number of years and has performed live in a number of other forums including in her role as part of the internationally acclaimed Australian band Sons of Korah. From an early age Anna realized that whatever she did with her life, it would involve music. Her distinctive voice and heart for people have made Anna a greatly loved worship leader, singer and now, recording artist, as she releases her debut EP Anna Waters . 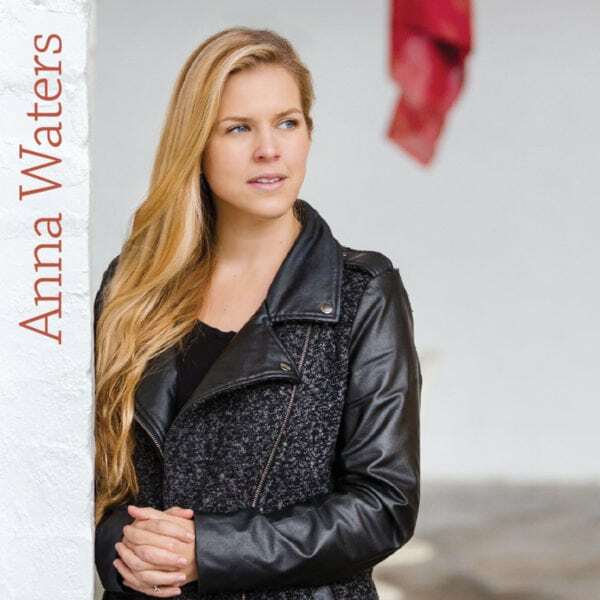 This EP showcases Anna’s unique and exciting voice along with her gifted song writing abilities. The songs on this EP reflect, for Anna, experiences and lessons she has encountered on the journey of life. They all have one central theme – God created us in His image and no matter how we feel on any given day, the one thing that doesn’t change is His undying love for us. Watch this space as Anna continues to work on a full album release in the next 12 to 18 months. We have been blessed by yet another wonderful artist from 5ive (at least I have – and I am going to tell her how). Beautiful renditions of some old favourites (of mine anyway). Gorgeous mellow tones and “styles” explored. Great gospel message, for Christians “old and new” (at different stages of their faith). Praying for opportunities to share Anna’s music and looking forward to hearing more in the future!! I can’t stop playing this CD after each day to settle and quieten my thoughts – so beautifully anointed songs. Thank you Anna for such an excellent production to build up the body of Christ. Highly recommended.